The 2019 edition of the EurOCEAN conference will take place in Paris, France, on 11th-12th June. 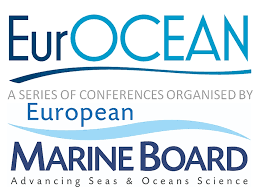 EurOCEAN are a series of high level marine policy conferences where the marine research community and stakeholders meet European and Member State policymakers and strategic planners to discuss new marine science and technology developments, challenges and opportunities. Since the first edition in 2004, EurOCEAN conferences have provided inputs to a number of strategic science policy developments in Europe. Joint policy statements by conference delegates – EurOCEAN Declarations – have been delivered and have greatly impacted research and policy developments in Europe in the field of marine science. To participate, the early bird registration deadline is 14 April. Visti the conference website for more information.